The tour begins at Celtic on Market where you will meet your costumed guide, either a Saloon Madam or Wild West Sheriff, inside the bar. After check in, grab an optional drink and head down to the basement. While you are enjoying your drink we will reveal the amazing history and tell tales of the spooky past inhabitants who still haunt the place. From there, take a journey throughout historic Denver, pointing out the hidden secrets and offering glimpses into things from Denver’s past that are not in plain sight. 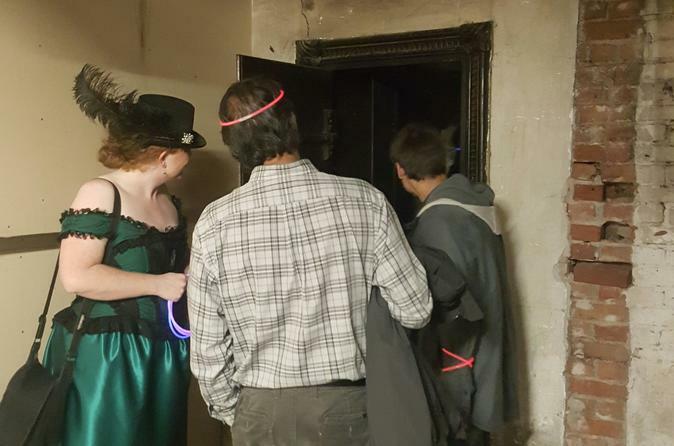 Visit three-four different bars, each with their own unique ghost stories and history, and grab a delicious “spirit” as you listen to tales of things that go bump in the night. This walking tour covers approximately 1 mile and ends at the historic Union Station where you can conveniently jump on the light rail or alternatively keep exploring what Denver nightlife has to offer. Minimum age is 21 years old.